Eclipse was kind enough to send us a few samples of these hats, and it is unanimous - they are amazing! We all were blown away by how well they are made, how useful they are, and how incredibly bright they are! Upon receiving the samples, many of our team were so impressed, they immediately ordered more for friends and family. The beanie hat has a rubber ring sewn into the hat that the LED module snuggly presses into. It is easy to pop it in and out, yet won't fall out. It is very well designed. The LED module has a built in USB plug with a protective rubber cap. 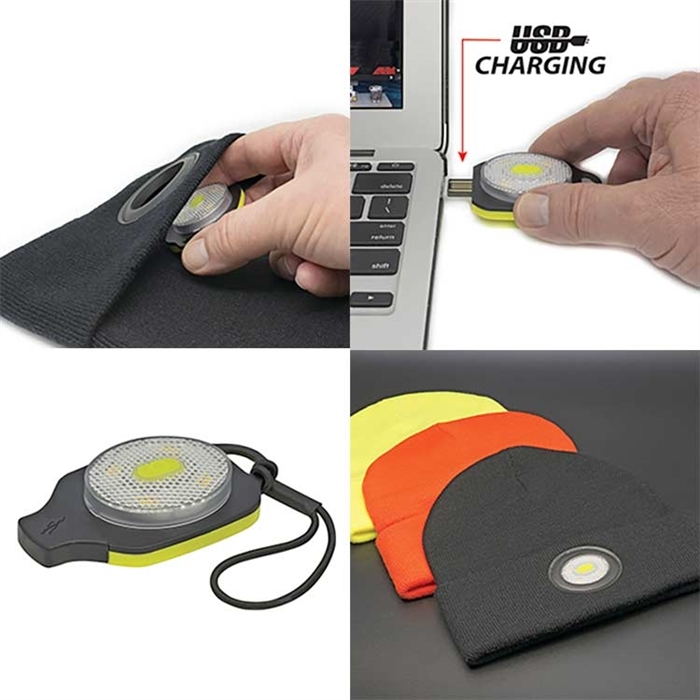 Charging is as simple as plugging it into any USB port on a computer or charger. 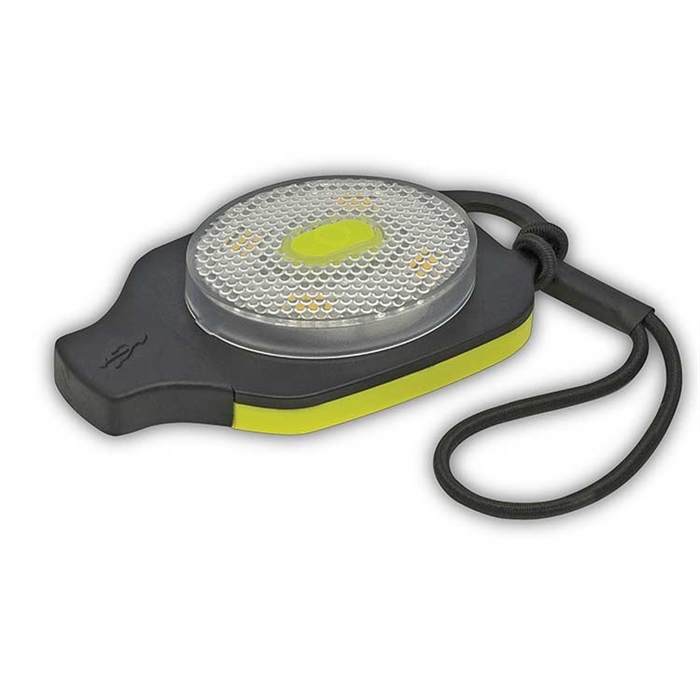 The LED Module has 3 modes: High, Low, and Flash. The runtime on this cozy hats is 2.5 Hours on high and 6.5 hours on low. Powering and changing modes is done by pressing the button in the middle of the LED module. 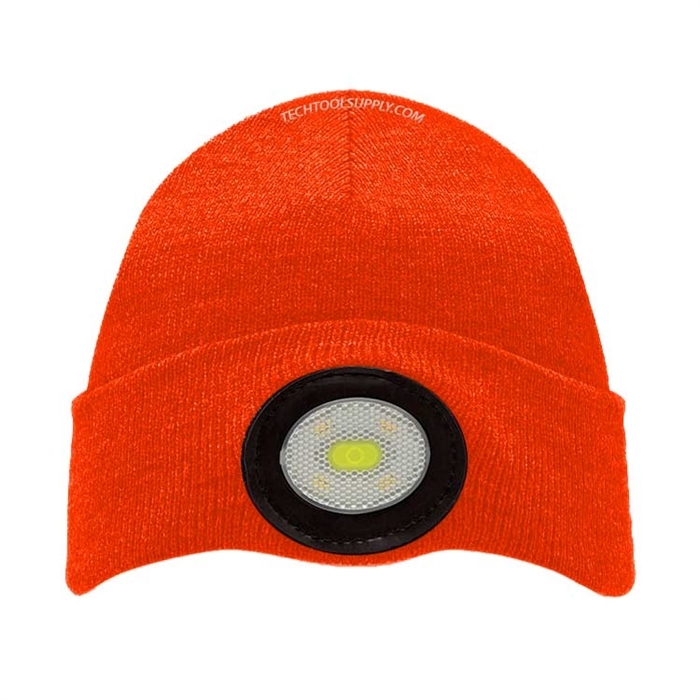 If you work in the cold in low light conditions, or you simply want to see where you're going on a cold night stroll, we promise you will LOVE this hat!